When most people think of Niagara Falls they think of blissful honeymooners, starry eyed with love as they get lost in the well steeped history of the area’s romantic traditions. Or they think of the glittery lights at night where the many arcades, theme park rides, and families with children scrambling to take it all in and somehow add ice cream to the mix. These things are true. Niagara Falls is very well known as a honeymoon and family destination. But would it surprise you to know that Niagara caters to other crowds as well? Solo travelers, adventure travelers, and many more visit Niagara each year, but there’s one group of travelers who might not consider Niagara but should. These are the bachelor travelers. 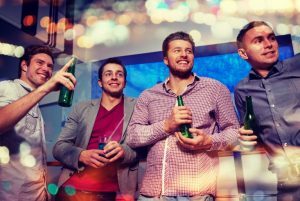 Bachelor parties have become much more than a night out with the guys before the wedding. As weddings get more elaborate so do the parties accompanying them and Niagara is the perfect place for a groom to be and his closest friends and family to have a weekend to remember before the big day arrives. So gather up your friends and your sense of adventure and plan the perfect bachelor party in Niagara Falls. Hitting the casinos is always a good time and this time will be even better with your friends in tow. Casino Niagara offers all of your favorite ways to test lady luck as well as numerous bars, restaurants, and nightclub activities. Depending on when you’re there you might even be able to catch one of their concerts. From local cover bands to big name entertainers there is always something going on in the theater at Casino Niagara. So devote a night to dressing up and head to Casino Niagara and don’t worry about getting home; many hotels in Niagara are directly connected to the casino. A bachelor party should always have an extra dose of adrenaline and one of the best ways to be sure that happens is to hit one of the Niagara Falls’ area gun ranges. Safe and with options for people of all skill levels, a little target practice is a great way to spend an afternoon. The Silverdale Gun Club, located just west of Niagara Falls is the perfect place to fire a multitude of various weapons in a safe environment. With varying calibers of weapons available you can take it easy with a simple handgun or go big with a BMG 50 caliber. Rules here are strict; you must make your appointment in advance, you must show photo ID, and suggested attire is long pants, closed shoes, and a ball cap to protect your head. Ear and eye protection is provided. 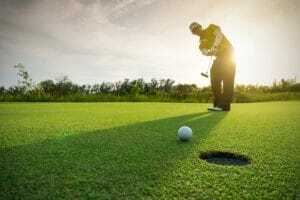 There’s never a bad time to hit the links and Niagara Falls golf courses are some of the best in the world. PGA course designers have stepped in and utilized the landscape surrounding Niagara Falls to create courses that suit all levels of ability. You can have your pick of courses in Niagara, Niagara on the Lake, or further afield in Ontario. If you want to stay close to town the Niagara Falls Golf Club is an excellent choice. With 18 holes and plenty of bunkers and ponds built in to create a fun and challenging experience, this course is easily reached from the city and your hotel can help with transportation if needed. They also offer a fully equipped restaurant and bar for those post golf drinks. If you’ve never thrown an axe before why not make your bachelor party the best place to start? Who could have ever predicted that this long forgotten sport could be revived and actually thrive? BATL Axe Throwing League has locations throughout Canada and Niagara Falls is one of them. You’ll need to book in advance but basically you and your group will get a brief training session with an axe expert then you’ll compete in a target based game. The sessions usually last about 2 hours and the Niagara facility offers a full kitchen and bar, but it’s probably wise to wait until all axes have been thrown before you settle in for one of Niagara’s craft brews. You might not think to add wine tasting to your bachelor party itinerary but every gentleman should know a thing or two about good wine and Niagara is the perfect place to hone your skills. Niagara’s wine country is one of the most popular sites in the area and a number of tours are on offer. You can hire a driver and visit several wineries over the course of a day, sampling wines and perfectly prepared snacks and small bites to accompany them. The scenery is beautiful, you’ll have a driver so you don’t need to worry about singling one member of your party out to opt out for safety, and this is a great way to spend a pleasant afternoon with your groom’s party. Everyone says Niagara is for lovers and they’re right, but lovers come in many different types. So if you’re looking for a great place to host your bachelor party be sure to put Niagara Falls at the top of the list. With all the fun activities to choose from you won’t regret it.